We returned from our maiden voyage geared to make adjustments and improvements to the motor home in preparation for a much longer trip starting in July. We’ve both been pulled towards doing those things, but have had to take care of the jobs of maintaining our permanent home, and attending to doctor’s appointments. Those appointments have brought on other appointments, for most of which we have to play the waiting game to see when they will be. Jim says we’ll work around them; I say, since none of our ailments are life-threatening, let’s just postpone them for six months or a year until we return. Life is too short to waste time waiting for confirmation that you’re getting old and your bones and joints are wearing out! I’d rather just deal with the pain as it comes. It seems to come less frequently when we’re out exploring and not worrying about it. 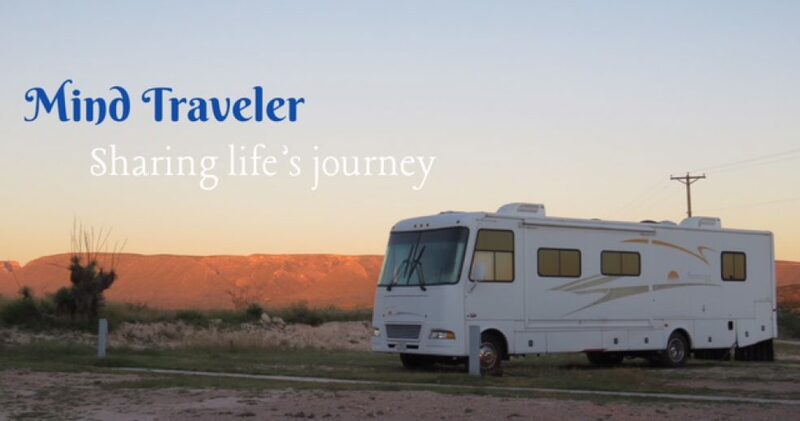 This entry was posted in Uncategorized and tagged motor home, RVing, travel. Bookmark the permalink. ← And What Emotions They Were! You’re so right that life is too short to be waiting for doctor appointments. If I had the opportunity you’ve created for yourselves to travel in this motor home, I’d do it.